March is Colon Cancer Awareness Month and people over the age of 50 are urged to get screened. At WBAY (Green Bay) the station could easily have followed a patient through the screening process and show viewers what it is like. 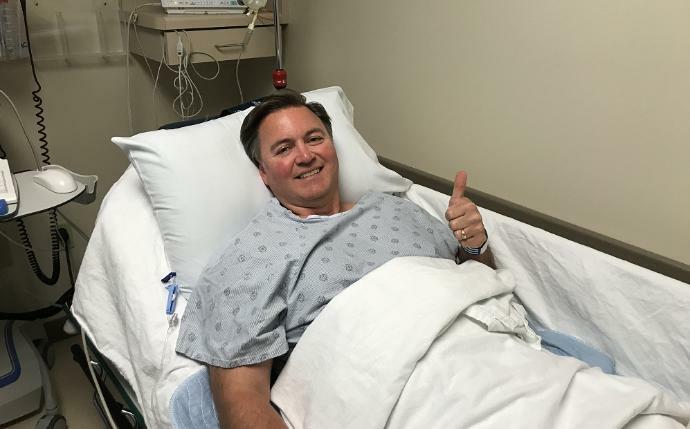 But, you must remember, we now live in a world of “All About Me TV”, so WBAY sent Anchor Jeff Alexander to the hospital to have a look down his Hershey highway. Alexander says, “My exam, I'm told, takes 20 minutes. And then it's back to my room where I'm already awake. I'm a happy camper, procedure went well, piece of cake. Dr. Christian stops in to say everything looks good. "You did it. Now you're set for 10 years, Jeff," Dr. Christian laughs. And that my friends is another edition of All About Me TV - Colonoscopy Edition.